The battle field is a lonely place. As an elite mecha pilot, it’s your job to win every battle piloting your twenty foot tall mechanical warrior. But sometimes, one mecha is not enough. These are the enemies that await you and your mecha and each are too strong for you to face alone. Mecha Combiners is the long anticipated supplement for the Mecha role playing game. 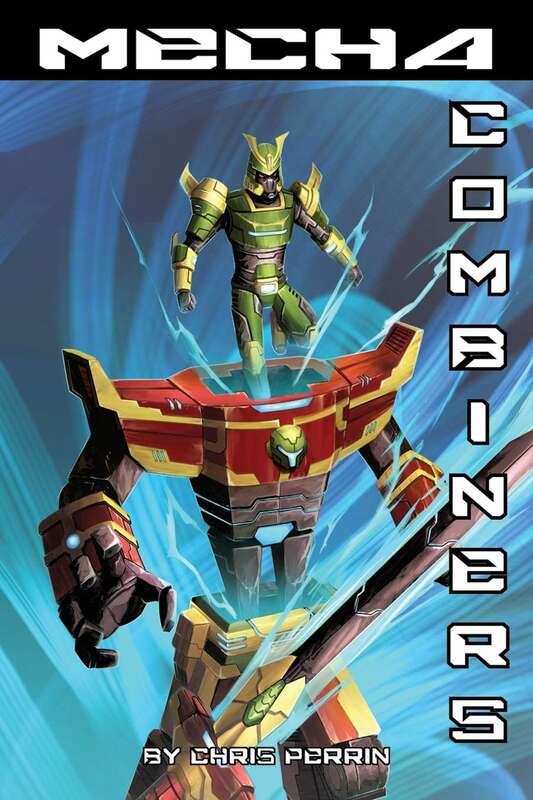 This book gives Mecha players everything they need to create their own combiner, a super robot formed by other mecha joining together. Combiners also features new super robot Configurations--special equipment the Combiner can use to form fiery swords, energy boomerangs and leap across the field in a single jump. Also included is a full Combiners setting, where players take on the role of ronin who are out to defeat a possessed general who turned against his former master and murdered him. Let your mecha pilots fight amongst these tattered ruins of feudal Japan or create your own setting with guidelines included in the book.